IntroductionSmall Businesses typically have a learning experience growing into government contracting. Part of that process is undergoing reviews by the Defense Contract Audit Agency (DCAA). It takes knowledge of the requirements and strategic focus to set up the type of business processes required for accommodating government contract job cost accounting and fit those processes into the way your company does business. Perhaps you have already examined the above background, but I would encourage you to review it again in connection with planning for your business system. Perhaps you have discovered that CAS compliant job cost accounting effects your estimating structure, your long range planning for indirect rates, as well as your general ledger, overhead and G&A structure. You may have discovered as well that DCAA wants to see your government contracts accounted for in a separate cost center from your commercial work and that there are certain unallowable costs that cannot be charged directly or indirectly to government contracts. Proposal AuditsProposal audits are performed by DCAA on your cost proposal at the request of the Procurement Contracting Officer (PCO) and verify your direct and indirect rates against your long range plan, your labor category pricing, contingent hire agreements, vendor quotes, subcontractor proposals and all other data related to the cost volume of the proposal. Results go to the PCO. Arithmetic checks are made. No opinion is offered on the merit of the pricing, only that it has been documented in a long-range plan or a vendor or subcontractor quote and it is accurate. Progress Billing Audits under Firm Fixed Price ContractsThis type of audit is on live data from your billing system. It is triggered by your submitting a progress payment under a firm, fixed price contract. Progress payments can be allowed in long-running firm, fixed price contracts that are front-end loaded with material and labor investment and have lengthy schedules for delivering the end product. 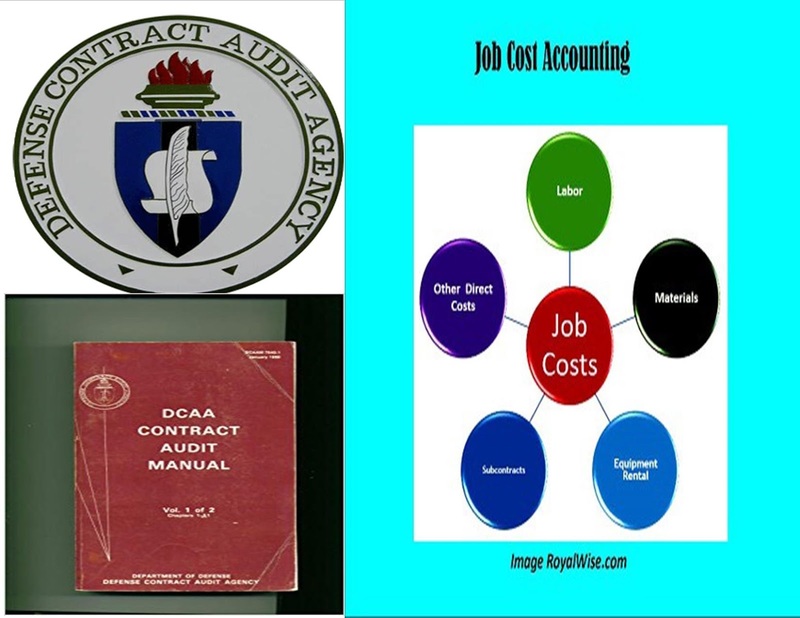 The DCAA Auditor will get the audit request from the contracting activity and will ask to examine the complete set of job cost records in your accounting system for incurred cost on the fixed price contract and tie those records out to the progress payment requested amount (usually 85-90% of the incurred cost to date - they hold some billed amount in retention). Records audited are at the time card and expense report level, as well as purchase orders, travel vouchers and any other transactions that are booked and billed in your accounting system to the fixed price contract. They will want to see the time cards and other documents and will trace them back through the system. Cost Plus and T&M Contract Billing AuditsBilling audits are performed by DCAA, again at the request of the contracting activity. The auditor will go into all actual cost records submitted with your billing. Cost plus and T&M billings must have all the billing detail behind them or they will not be paid. The detail must be at the transaction level and the audit is identical to the one discussed above for progress payments. Incurred Cost Audits (Often referred to as "Rate" audits)These audits are conducted when you are closing out contracts with the government and they have been billed at provisional rates, or the government needs to establish that you are billing accurately from a rate standpoint. If the contract is fixed price with progress payments, cost plus or T&M in nature and has been billed over a long period, particularly if it has crossed more than one government fiscal year, then a system-wide incurred cost audit will be necessary to verify the rates that were charged to the government and determine the difference between the provisional rate billed and the actual rate incurred (where applicable). In addition it is periodically necessary for the government to establish that no unallowable costs have found their way into government contract billings. The government allows provisional billing rates for the convenience of the contractor based on his long-range plan and mix of business. The government holds a retention amount on each billing and then at closeout determines with the contractor through an incurred cost audit the final amount due on the contract, releases the retention accordingly, and the contract can then be closed if all other obligations have been completed. At closeout the government pays the final bill. A rate audit determines the compliance of the job cost system if it occurs while the contract is in process. If an incurred cost audit occurs on contract closeout actions, results will directly impact final contract billing approval and amounts. All of the above suppliers are used to long sales cycles and competing against each other. They will do remote demos for you and bend over backwards to show you their products. You can learn much about government contract job cost accounting just by taking the time to go through a demo. For companies whose direct job cost records are growing fast, these tools offer the utility to manage data volume and efficiently handle requirements such as changes to existing records driven by rate changes, fiscal period closing or contract closeout. A semi-manual approach gets burdensome as the company grows and the number of accounting transactions at the direct and indirect cost level increase in volume. If you do not have a good job cost software, I recommend you begin looking for one and plan strategically to implement it if progress billings and service contracting to include time and material and cost plus contracts are in your future. Implementing a government compliant job cost system is a sensitive matter and must be planned. I was never able to pull it off in a small company in any less than a year with some delicate timing, particularly during cut-over from the old system to the new. As companies grow and get involved in larger programs they come under full CAS Coverage that requires a disclosure statement and considerably more controls on the structure of the business system. You can read about full CAS coverage at the link contained in the introduction to this article. If you have the investment budget available, you may wish to consider the job cost accounting system software suppliers I mentioned above and compete them against each other for a price. Installing one of these packages is critical from an accounting period standpoint. I recommend a new year starting point and running in parallel on your old system for at least a quarter. Keep in mind that DCAA does not approve COTS job cost accounting system software. Buying the software will not make you "DCAA Compliant" or "CAS Compliant" That objective is achieved through careful process development, specific to your company, utilizing software as a tool to operate your own unique business processes. Your processes will include long range planning, pricing, job cost accounting, indirect cost allocation, time-keeping, expense reporting, purchasing and commitments and billing - all geared to accurate job cost records at the individual contract level. To the extent that you cannot demonstrate the above features to DCAA when they audit your business you CAN demonstrate that you are aware of the necessity to set these things up, lay out your plan to do so, and specify a time frame within which DCAA can expect to see you complete your compliant government contract pricing and accounting structure. I have found that DCAA auditors are reasonable people who understand small companies must grow into government business systems. Showing them your accounting structure and your business system plans will display knowledge they will appreciate and assure them you understand the requirements, even if you cannot demonstrate all the processes at the point in time that the government initially audits your company. Chapters 45 and 51 through 53 of my Book, "Small Business Federal Government Contracting" provides further detail and examples on establishing CAS-Compliant small business planning, pricing and job cost accounting. The book is free as a download in the right margin of this site in the "Box Net" cube. Thank you very much for this critical information. My company is in it's infancy and desires to work federal contracts. Based on the information I've found here, I will recommend to my partners that we invest in a "Fairlane 500" system to account for long-range planning. I will also request a copy of your book. This is a great article about the importance of using software that will help small businesses meet DCAA standards. At VBP Out Sourcing we use Peachtree and Quick Books to help our clients (small businesses that do government contracting) pass potential audits from DCAA. I agree that the right software and learning how to use it correctly will help these businesses to thrive. Thanks for the article. Thanks for the feedback,Anonymous. As for your question on centering your mind and writing, I find that developing the habit of taking notes on a topic and evolving the topic itself is an iterative process and is in the back of my mind as I conduct daily operations. The topic then becomes finalized at production time based on a foundation laid much earlier in terms of what I see happening in my business venue. Thanks for sharing this information. This is a great article about the importance of using software that will help small businesses meet DCAA standards. It is very useful in DCAA accounting system requirement. Although this article was written several years ago, it is still very relevant. Thank you for providing this information. There is one question that I can not seem to get a clear answer on. When will the Procurement Office initiate a request to have a small business audited by DCAA? I have a very small firm and want to know if there is a typical threshold. All of our contracts are either FFP or T&M. We have not responded to any Cost Plus type contracts nor has our accounting system received an audit. Thanks for the question on a potential threshold for DCAA Audits. The DCAA audit manual does not contain a $ threshold as such, nor does the FAR Part 31. Proposal audits - Source selection boards and contracting personnel on them may order them during the proposal fact-finding process. Progress billing audits on fixed price contracts if you have a progress billing clause in your contact. The likelihood of all three increases with the value of the proposal or contract and the past performance history of the contractor if there have been issues in the past. I realize the above is redundant to the article but it is about the best I can do. "Be Prepared" is the best motto and make a job cost approach a built-in aspect of your business system to meet the small business requirements of CAS. "SMALL BUSINESS JOB COST ACCOUNTING BASICS" at search box on this page. WHAT IS A "COMPLIANT" GOVERNMENT CONTRACTING SMALL BUSINESS SYSTEM? also at the search box. 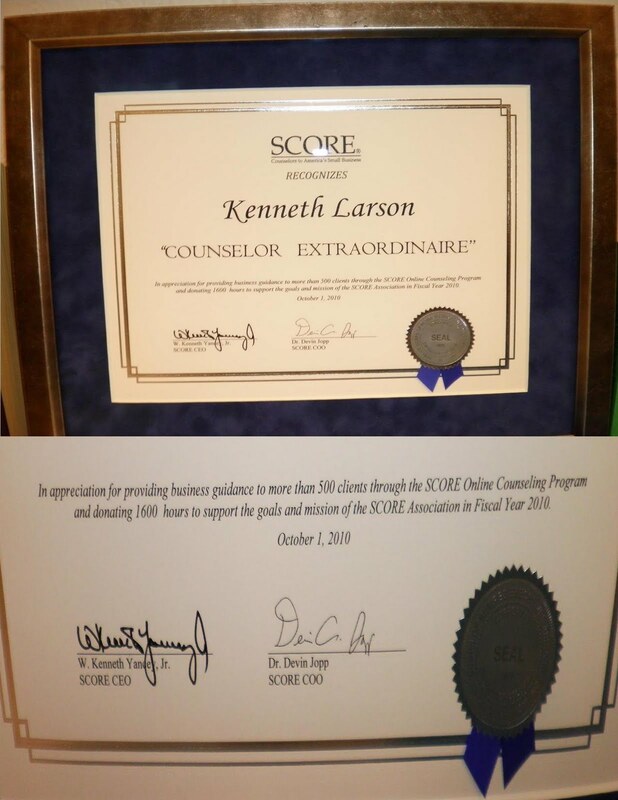 If you would like further dialogue with me on this matter, please feel free to join the free Micro Mentor web site an search for my profile under Mentors, Government contracting. Ken - What do you mean by this: "Incurred cost audits during forward pricing rate change submissions or during contract closeout." and approved, those rates replace provisional billing rates on invoices for a fiscal year. Forward pricing rates are used on Proposals. Provisional billing rates are what are used on monthly invoices on an interim basis and replaced with Actual claimed rates at year-end. These rates are the same in most cases but not always. Do you disagree with this? I generally agree with your statement. However, many contractors regularly make proposed rate changes dynamically during the year as business enters or leaves the base. DCAA regularly performs incurred cost audits to verify the running running rate history on actual costs to validate those rate change proposals before approving them. In my experience, cost type or T&M contract closeout always involved an incurred cost audit by DCAA, particularly if the contractor has undergone defective pricing adjudications in the past. My most smooth running client business processes kept bidding and billing rates the same.